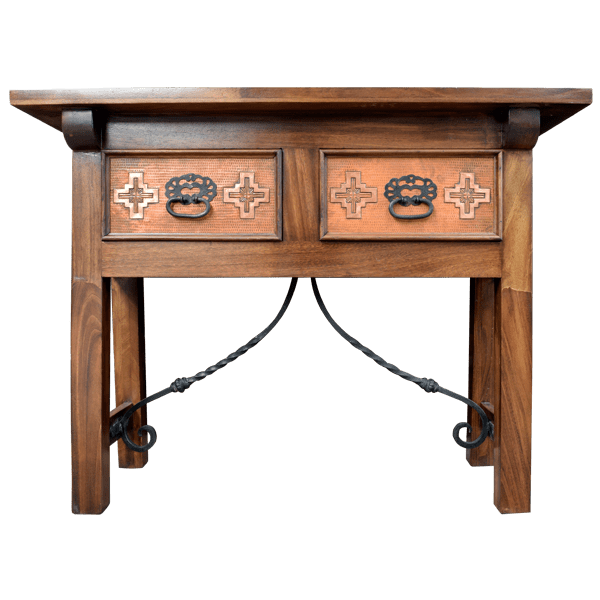 Grace your entryway or hallway with the exquisite, hand tooled copper details of this handcrafted, Western style console. Under the wide top of this console are two, rectangular drawers, and the face of each drawer is covered with hand hammered copper with marvelous, hand tooled copper Pueblo Indian designs. This hand tooled copper designs are continued on the lateral sides of the console. The console rest on long, square cut legs, and each pair of legs are joined by a crossbar. The crossbars are connected by a curved, hand forged iron decorative design. Centered in each drawer is a hand forged, iron handle. 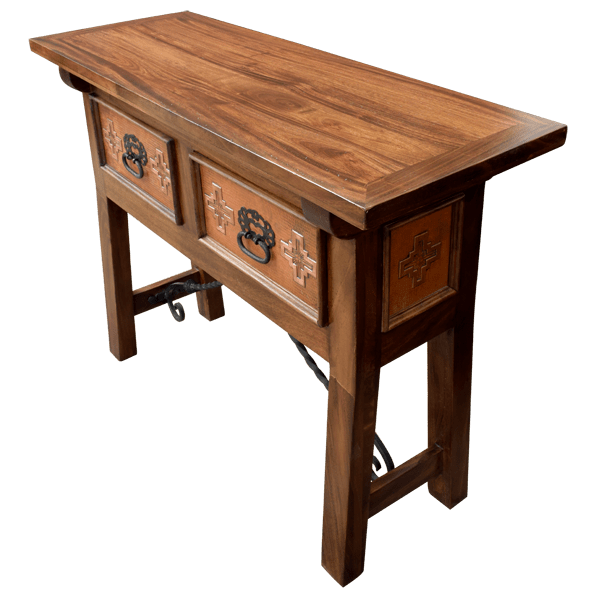 The console has a beautiful, antique finish, and it is made with the best, sustainable, solid wood available. It is 100% customizable.